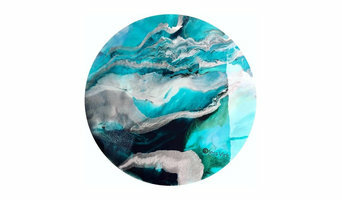 Sydney based artist Jess Virk creates spectacular one of kind wall art, home decor and jewellery, using a unique blend of resin and mixed media carefully crafted to highlight the natural beauty of wood and metal base elements. Jess draws her inspiration from the natural beauty surrounding her home in the harbourside suburb of Canada Bay and thrives on the challenge of pushing the boundaries of her imagination. 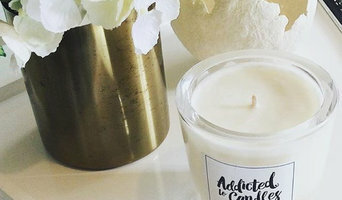 Addicted to Candles is inspired by the love of luxurious homewares, soy candles and diffusers. We are dedicated to deliver high quality candles and diffusers and to create something beautiful for your home. All our candles are hand poured using only the highest quality glassware and fragrances with 100% natural soy wax and lead free cotton wicks. Our diffusers are triple scented and are hand made using only the highest quality fragrances, reeds and oils that will scent your home with an exquisite fragrance. Our range of soy candles are 100% natural and are made from pure soy beans. As soy wax burns at a lower temperature they will also burn longer. Soy candles are safe to burn around children and pregnant mums to be. They are water soluble so any spills clean up easily with hot soapy water. Our candles do not contain paraffin which brings out toxins in the air you breathe in your home. Hand made with love in Sydney, Australia. 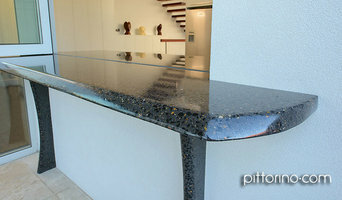 Pittorino Designs is a sculpture and furniture studio based in Sydney. Working primarily with timber and concrete, Pittorino Designs has a passion for escaping the linear confines which dominate today’s living spaces and finding ways to create objects with subtlety and movement. Going beyond the latest concrete technologies, they have devised innovative techniques to manipulate concrete by hand for a variety of applications. Pittorino Designs uses sustainably harvested Australian hardwoods and recycled timbers. They utilise pozzolans to minimise the amount of Portland cement and employ precise calculations to minimise wastage. 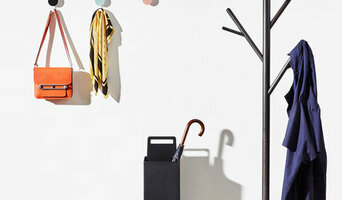 Pittorino Designs objects are timeless and durable and are intended to become family heirlooms for future generations. Robbi Pittorino is the creative force of Pittorino Designs. Robbi has been working as a sculptor and maker of furniture for more than two decades, across a range of media. His interest in concrete as a ‘liquid stone’ which can be sculpted informs his approach to both his artworks and functional applications. 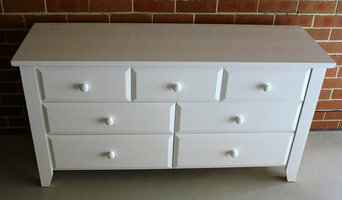 Designer and Manufacturer of Domestic and Commercial Furniture. We specialise in Custom Made Furniture, Restoration and Reupholstery. Select from our furniture range or let us help you design and make your very own furniture to suit your requirements. We work with many domestic and commercial interior decorators and architects. Many of our clients have been from the media and we recognise the importance of privacy where requested. Stol & Bord retails meticulously restored mid-century Danish furniture from leading designers, such as Arne Jacobsen, Børge Mogensen and Grethe Meyer. We are a family owned Australian woodworking business that craft quality handmade wooden homewares at our factory in Melbourne, Australia. Every product has been made by us as we design, shape, craft, paint and pack each product ourselves. We are a dynamic Father-Son duo with complementary skills that we utilise to full effect to create innovative, well designed and crafted products. We offer a range of finishes, styles and features to create a truly unique item. Our products are made from the best available materials to the highest standards. We provide exceptional customer service which is why we consistently receive glowing testimonials and consistently high ratings. Escape Map is Australia’s destination for exotic furnishings & homewares including handcrafted pieces sourced from exotic destinations around the globe. Using an amalgamation the old and new, the collection features seasonal products and one-off limited treasures. We capture an innovative confluence of cultures with an adventurous spirit, and celebrate an assortment of ornate shapes; tapered lines, superior quality which is sure to add opulence and intrigue to your space. Trent has been in the furniture making business since commencing his apprenticeship in Wodonga at Timber Shed Furniture & Wodonga Joinery in 2004 where he worked for 7 years and during this time also completed his apprenticeship at Wodonga TAFE. In 2012 he took the opportunity to move to Geelong and this is where he also obtained additional experience working for a firm that constructed and installed kitchens, bathrooms vanities etc. After travelling overseas during 2013 he returned to Wodonga and obtained employment but his desire was to purchase his own business and this occurred mid 2014. Trent’s passion is to work with any timber making a range of furniture from beds, tables, TV cabinets, bedroom furniture to name a few and as his logo says “Making the Future Antique” as some of our timbers become harder to source. His ‘apprentice’ is his father Merv who is currently on Long Service Leave and is therefore assisting Trent to get his business established. Trent said that his preference is to make custom made furniture and he is willing to meet and discuss your needs with you at a mutually agreed time. For those who have timber they would like transformed into a furniture item, he is willing to discuss your needs and prepare a design from those discussions. Fran is a Feng Shui practitioner with 15 years experience using this ancient art and science of creating spaces that radiate love, harmony and beauty. When Feng Shui's ancient principles have been applied to your home or business, fresh new energy moves easily through your rooms, allowing you to feel invigorated and to attact more success and happiness into your life.